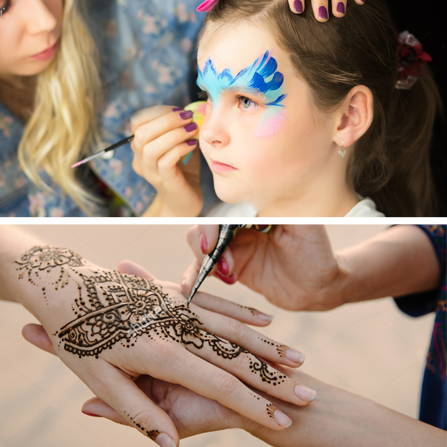 Face Painting, Henna Tattoos & More! Face Painting is a great add on to Festivals, Carnivals, Welcome Weeks, etc. If you’re interested in Metallic Tattoos or Henna, we’ve got you covered there too!